An after Merry Christmas and Happy New Year to everyone! The Magic Kingdom is usually the only park in Walt Disney World that closes because of capacity restrictions. Our team has personally experienced this issue in the past. Capacity issues can occur on major holidays at the Magic Kingdom. The one holiday were this occurs the most is New Year’s Eve. If you do not get to the Magic Kingdom early on New Year’s Eve, you may not be able to enter the park. We recommend getting to the main entrance before the park opens as there may be a long line to enter the park. 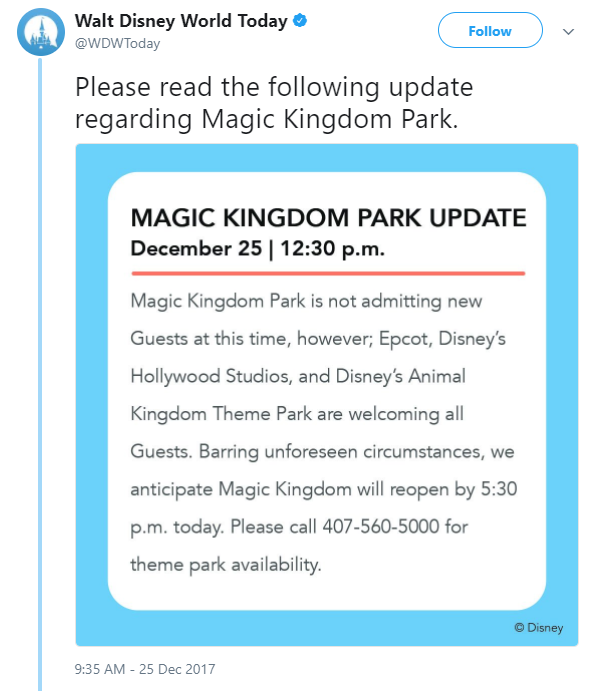 Also, if you are in the park and the park stops admission, you may not be able to leave the Magic Kingdom and reenter. If Christmas Day required a capacity closure, New Year’s Eve may also require a capacity closure. New Year’s Day will be busy also. Walt Disney World Resort guests and Annual Passholders are given priority to enter the park in capacity closure situations. If you are staying at one of the resorts, you may still be able to enter the park even when they are not allowing other guests in. Guests with an annual pass are also usually let in, unless the park is very full. Above: The Magic Kingdom on New Year's Eve. All theme park tickets sold by Walt Disney World do not guarantee admission to a particular park on a certain day. 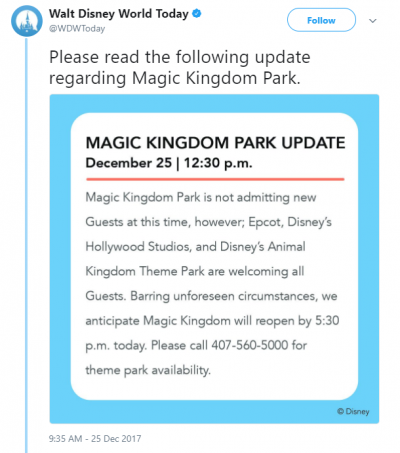 With the relatively new peak, regular, or value tickets and the higher priced one day Magic Kingdom tickets, this complicates the situation at bit. We do not believe you can get a refund if you are unable to enter the park due to capacity restrictions. 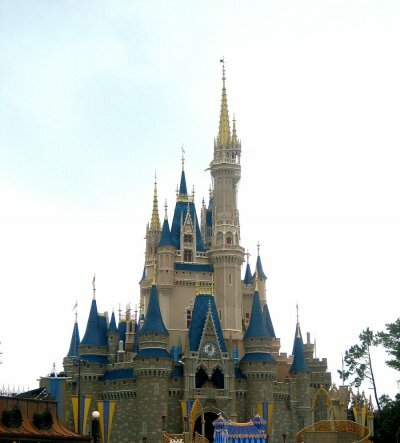 If you prefer a refund try contacting Walt Disney World’s customer service cast members to inquire about a refund. If a refund is not available or if you want to be at Walt Disney World, you can go to one of the other three parks (Epcot, Hollywood Studios, and the Animal Kingdom). The other three parks usually never reach capacity, so you will be good at those parks. The other parks will be busy, however, on New Year’s Eve and New Year’s Day. Ticket Prices Increased - Larger Margins for Walt Disney Co?